Monica Fiedler-Ross graduated from Cal Poly in 2016 with a degree in civil engineering and is now an Engineer in Training (EIT) and Civil Analyst at Kimley-Horn in San Diego. During her time at Cal Poly, Monica was President of the Society of Civil Engineers and involved in the Institute of Transportation Engineers. When did you realize that you chose the right career? I went on a firm tour my freshman year of college to visit the Transbay Terminal project in San Francisco and it made me realize the impact I could make in communities and cities as a civil engineer. From there, I knew that this was the right career for me. What have been some of your favorite projects you’ve worked on at Kimley-Horn? 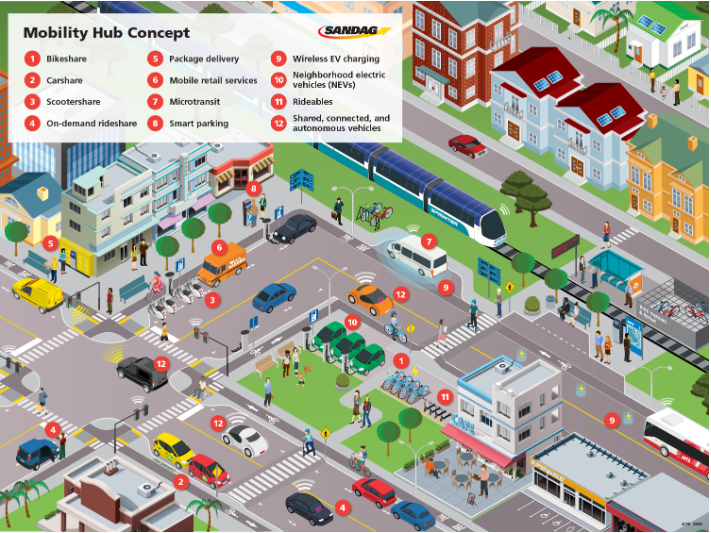 Mobility Hubs – As part of the Mid-Coast Trolley project in San Diego, Kimley-Horn is working with SANDAG to propose station amenities at the 10 existing and new stations along the light-rail alignment. The objective of this project is for these stations to serve as a “mobility hub” and allow for all modes of transportation to safely access the stations. While working on this project, I have been assessing approved community plans to ensure that the recommendations align with the access planned for in the neighborhoods surrounding the stations. 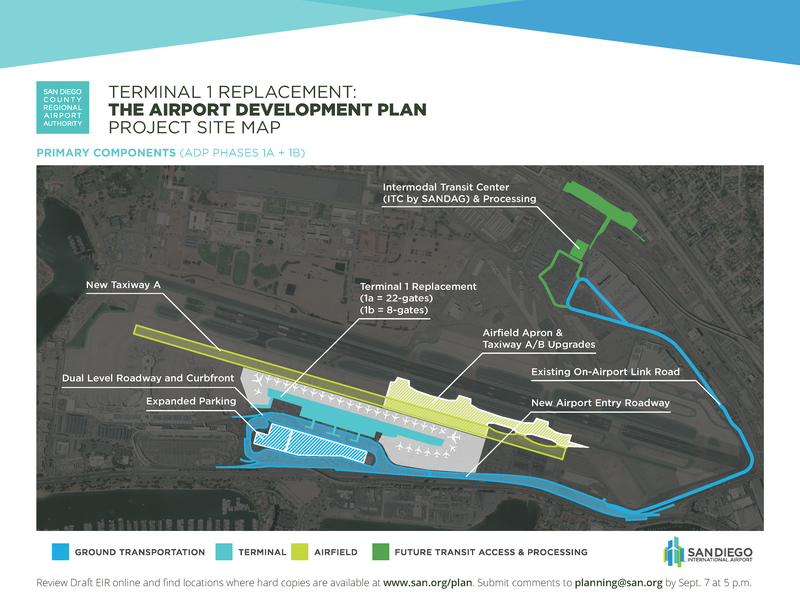 Airport Terminal 1 EIR – The Airport Development Plan (ADP) is the San Diego County Regional Airport Authority’s master planning effort to determine the facilities needed at San Diego International Airport to meet the region’s air travel demand through 2035. One of the major components of the ADP is the replacement of the 50-year-old Terminal 1 with an attractive, modern and more efficient terminal. Proposed on-airport entry roadway and new terminal circulation roadways will improve traffic flow and further reduce congestion on Harbor Drive, resulting in less greenhouse gas emissions. Kimley-Horn was responsible for the traffic and circulation portion of the Environmental Impact Report (EIR) document and I worked on the analysis of the intersections, roadway, and freeway segments. How did the civil engineering program at Cal Poly prepare you? The hands-on learning gives you a good understanding of what you will be doing in the field as a civil engineer. Apart from the education, there are many opportunities to network and create connections with industry professionals through the program. What advice to you have for current students? Get involved in organizations and clubs that expose you to different fields in engineering and that give you opportunities to make connections with people you can grow in your career with. Kimley-Horn is a platinum Partner of the CEENVE department and offers various positions for students. Openings can be viewed on the department’s Jobs and Internship listing page. For more information about Kimley-Horn visit www.kimley-horn.com.